The artist and director Daniel Auber sent me this link to a clip from Eastman Kodak’s early color tests. 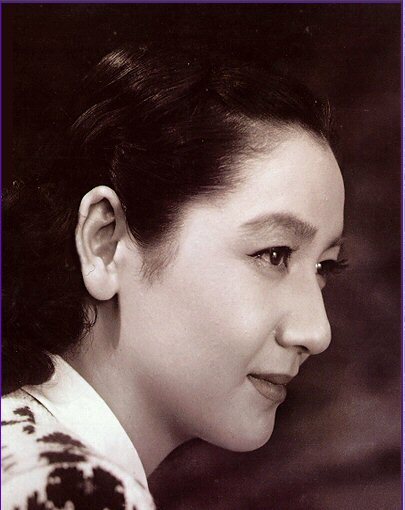 It is revelatory: suddenly, actresses known only from black-and-white Silent films appear, as they used to say, in living color. The notables in this clip are Hope Hampton (#2) and Mae Murray (in the red and silver coat). Beyond the unexpected pleasure of seeing Silent film stars in color, the sequence proves what I’ve long known about Kodak film. Growing up in Japan, I was told Kodak was best at capturing the red-yellow spectrum and less good at the blue-green spectrum–whereas Fuji film was the opposite. Thus, before digital cameras made the issue moot, I would use Kodak film in the United States and Fuji in Japan, a very blue-green country, with excellent results. The clip proves this theory: the reds are brilliant and varied while the greens are muddy and rendered in two shades: forest and sage. There are no blues, though I’m sure some of the green clothing was actually blue. The Kodak film simply couldn’t make the distinction. It would have been interesting if Kodak had overcome this problem but, despite improvements in subsequent years, it never did. There may have been a conscious decision to emphasize the red-yellow spectrum, given those colors’ prevalence in our geography. But it’s also possible that the scientists at Kodak didn’t perceive any spectral defect in the film. After all, deuteranomaly—color blindness affecting the perception of green–affects 6% of males, which they undoubtably were. 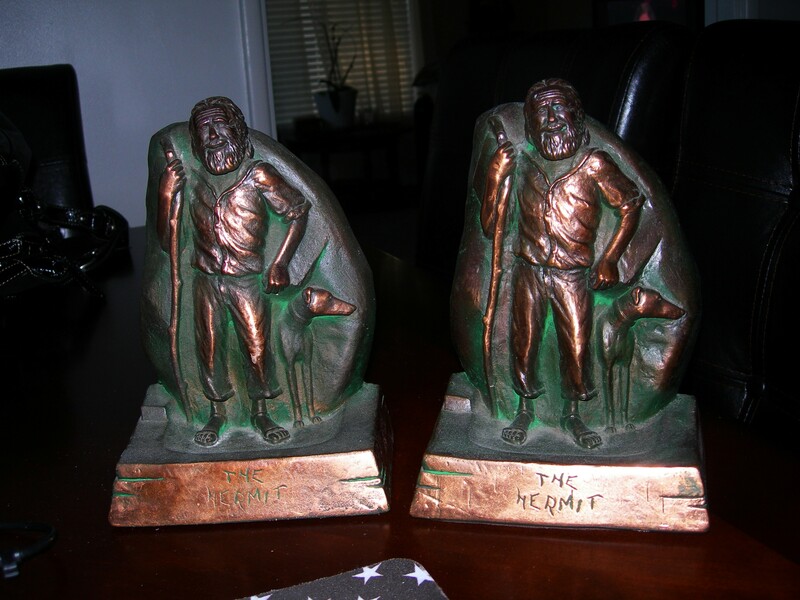 From Jean Hawkins come pictures of these wonderful bronze bookends of Peter the Hermit with his greyhound. 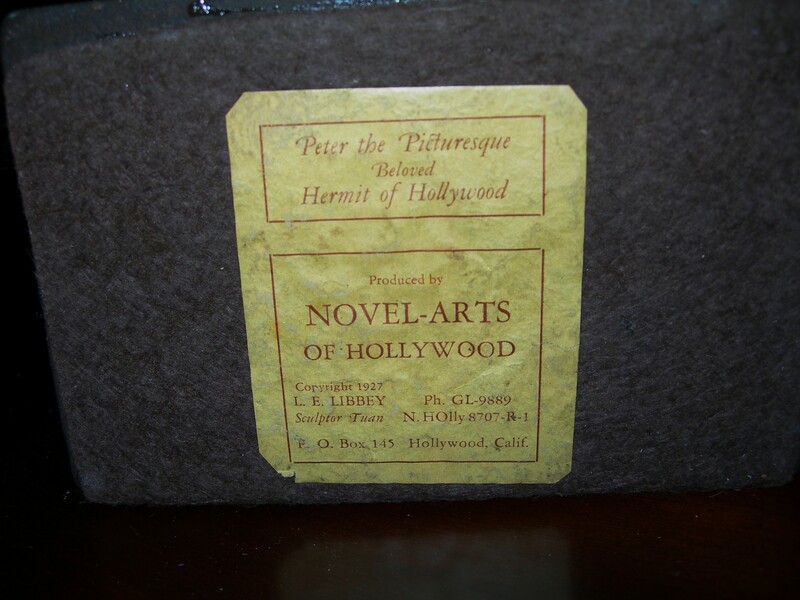 Found in a thrift store, the bookends were produced by Novel-Arts of Hollywood and copyrighted 1927. 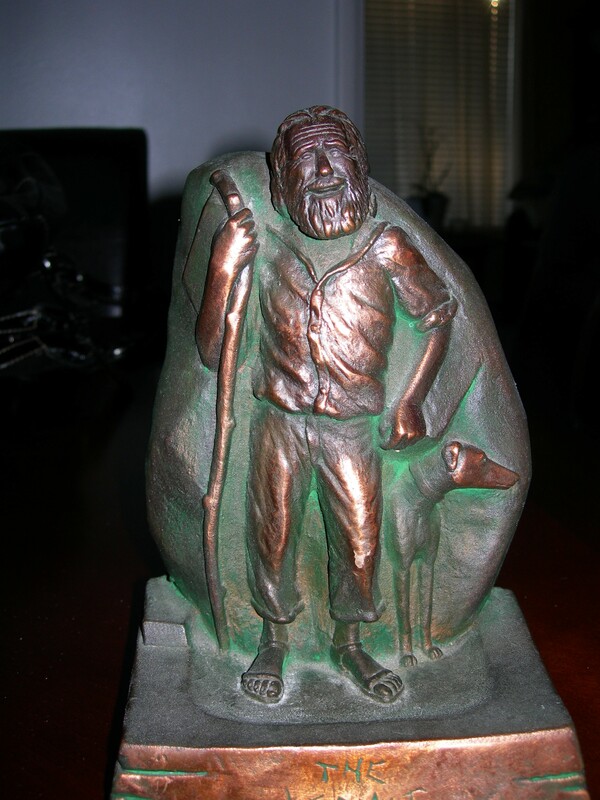 Inscribed “Peter the Picturesque, Beloved Hermit of Hollywood,” they are touching proof of Peter’s fame in Hollywood during the 1920’s and 30’s. What a great piece of local history! Thank you for sharing them, Jean. 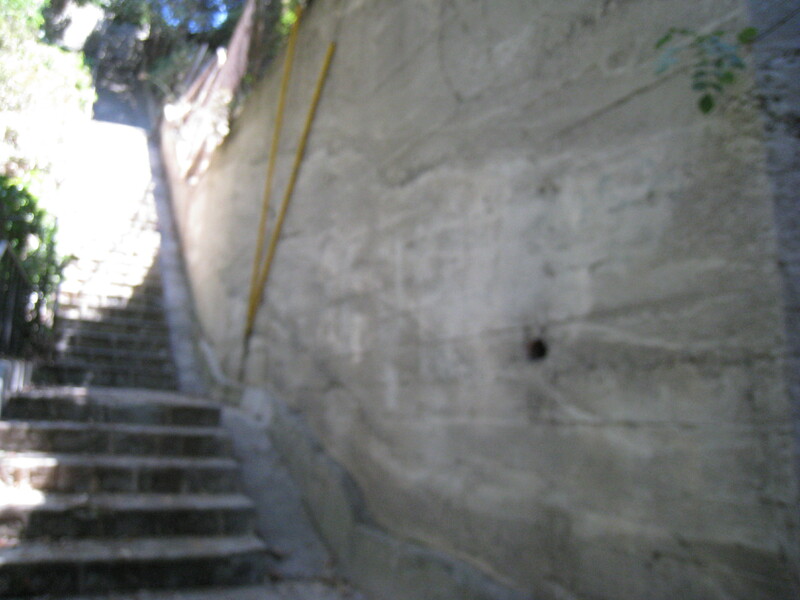 At some point during the last few weeks–exactly when I can’t say–the City finally cleaned the graffiti off the Beachwood-Westshire stairs and the retaining wall halfway up. What a difference it makes! 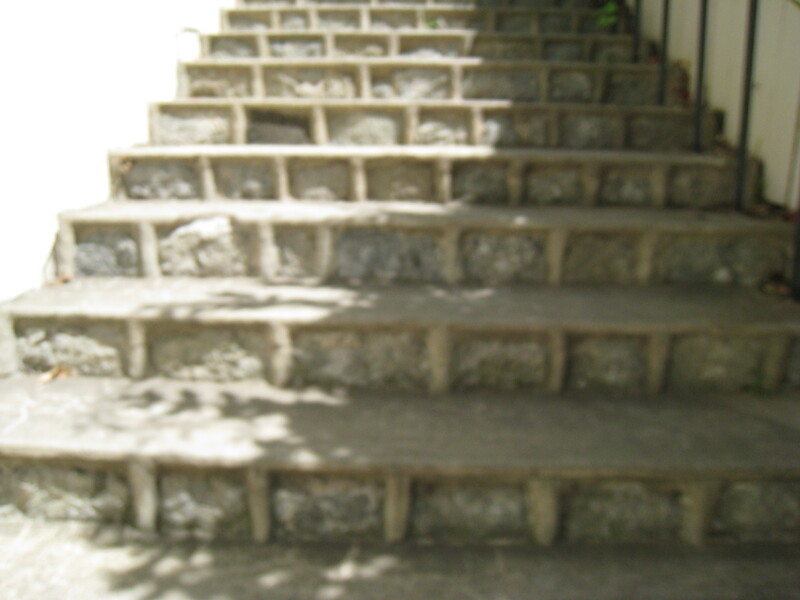 Now if people would just stop leaving trash on the stairs, we’d be in heaven. 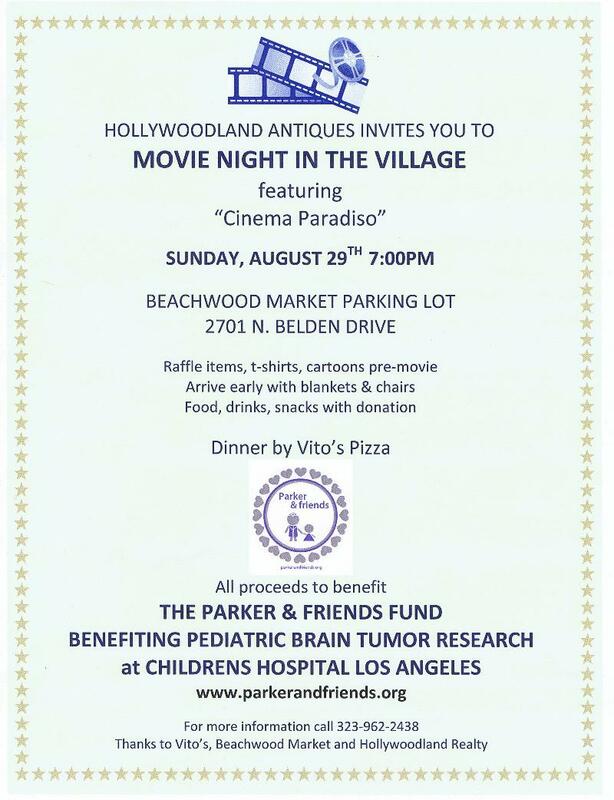 You are currently viewing the archives for August, 2010 at Under the Hollywood Sign.